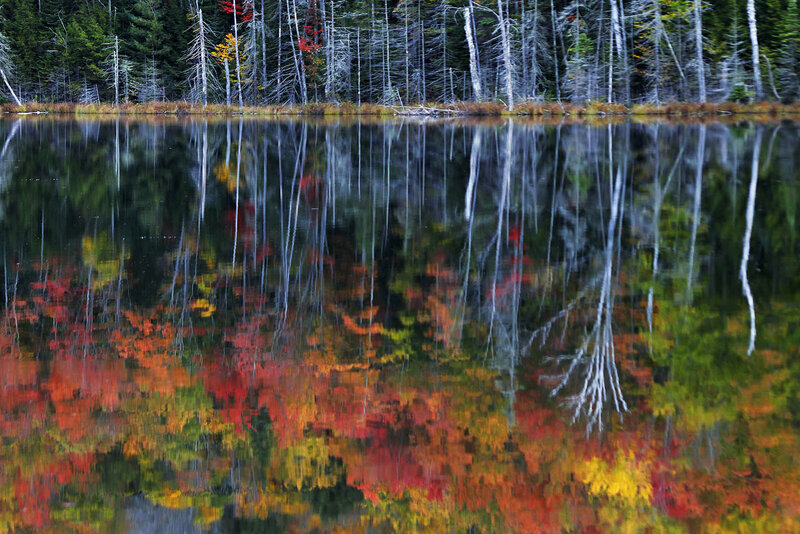 Here’s hoping you can catch some more fall color this weekend – looks like a great forecast!! View Scottie’s photo bigger, see more in his slideshow, and be sure to follow Scottie Photography on Facebook. Today’s photo shows that fall color is still hanging on … as does the latest cover for the Michigan in Pictures Facebook that I took not far away yesterday. Definitely still color out there to be had!! View Aaron’s photo of this gorgeous maple at a bend on the river bigger and see more in his slideshow. Frank took this shot on Wednesday from the Avalanche Mountain Scenic Overlook in Boyne City. 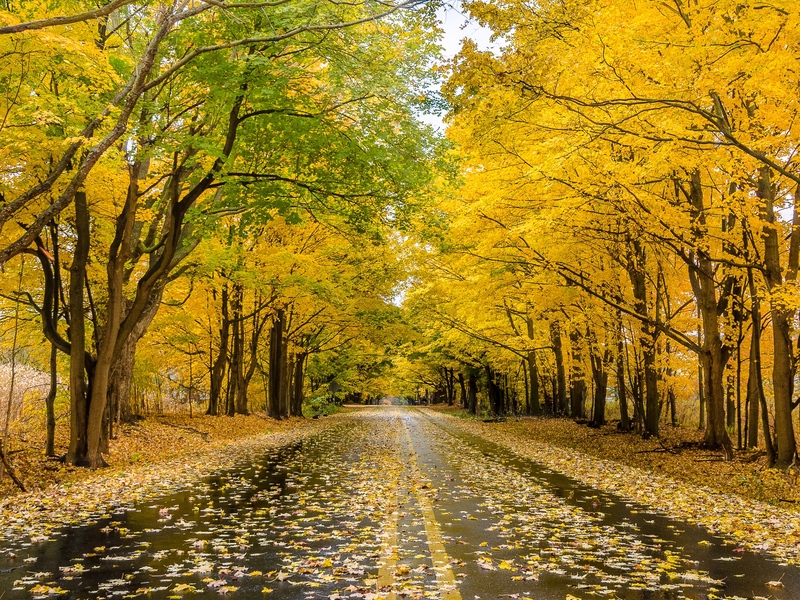 As you can see, this will be the weekend for fall color across much of Michigan, so check out some great fall scenes on Michigan in Pictures and make your plans for a getaway! View Frank’s photo bigger and see more in his Michigan – Northwest slideshow. Charles took this yesterday at the Buckley High Roll-Away overlooking the Manistee River, and it shows how autumn color continues to lag a bit behind in northern lower Michigan. mLive posted some satellite pics of fall color from NASA’s Aqua satellite earlier this week that give you a look at how things are shaping up. 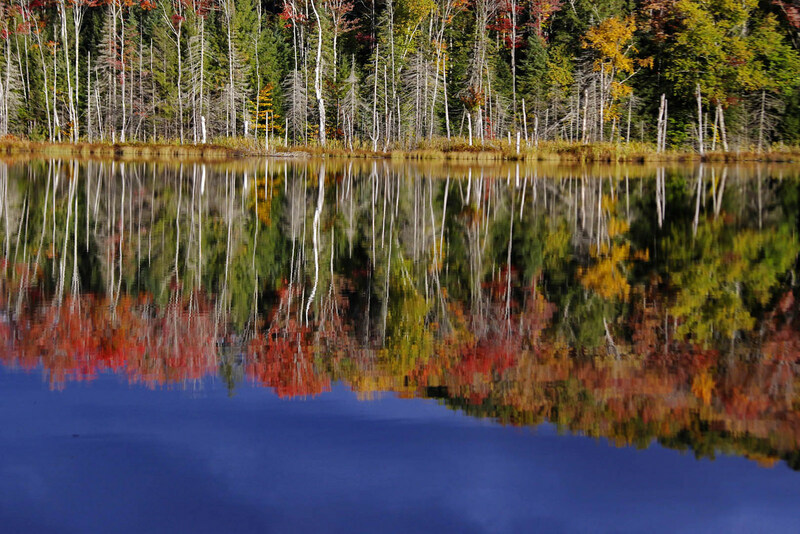 If you’re thinking about a jaunt, Pure Michigan’s fall color tours provide some pre-planned ideas all over the state. To get current fall color, I usually find it best to pick your location and call their chamber or visitor’s bureau. The bigger ones in Traverse City, Petoskey, Marquette, Grand Rapids, and elsewhere will often have a good idea about a large range. Like any notable landmark without an official name, this one goes by several aliases—Horseshoe Bend Overlook, Lookout Point or the Highbanks Overlook—not to mention spelling variations. Depends who you ask. Stand atop the Roll-Away and the scenery is for certain. From the lookout it’s 200 feet down, and before you the valley curls up like a vast bowl, taking in a viewscape of almost 130 square miles of dense pine and hardwood forest. The bowl’s rim, a ridge, runs roughly from Manton in the east, around to Meauwataka and Harrietta in the south (you’ll see the distant radio towers), and on the west to Mesick. Read on for lots more and here’s the map on Waymarking! You can get Charles’ photo background bigtacular and see more in his slideshow. Lots more fall color and fall wallpaper on Michigan in Pictures! Michigan Fall Color Running Late in 2016? “We’re a week to 10 days behind,” he estimated. The National Weather Service recorded plenty of 90-degree days through August — five in June, nine in July and seven in August. 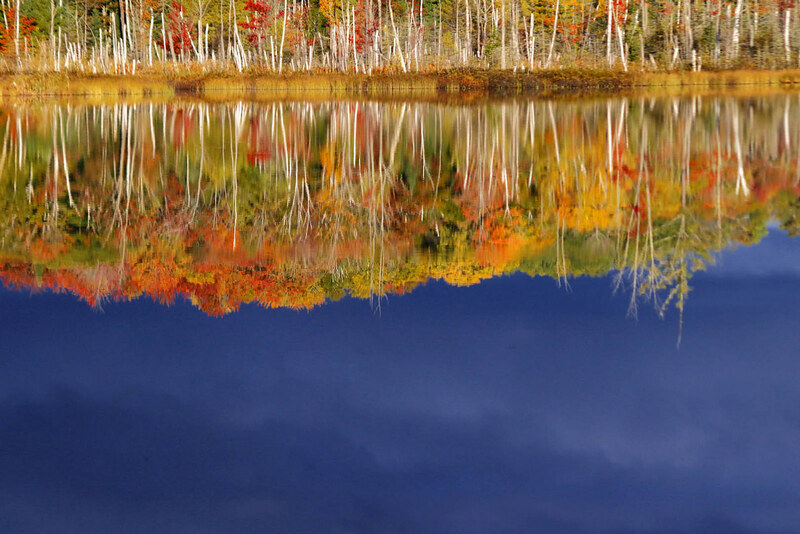 Grinnell said that the fall tourism season is expected to have a $3.7 billion economic impact on Michigan in 2016. Michigan has 19 million acres of woodlands. The golds, yellows and reds of autumn usually begin in mid-September and work their way south from Lake Superior, peaking in late October in the lower counties along the Indiana and Ohio borders. You can read on for more. While I will say that the eyeball test agrees the colors are running behind around Traverse City, consider this article that maintains the timing of fall color is due mainly to the length of days and as such, unchanged year to year. As a further piece of evidence, Owen took this photo of peak color on M-22 last year on October 21st about a week to 10 days from now. View it bigger and see more in his Michigan slideshow, and learn more about Owen at owenweberlive.com. PS: This was taken on M-22 right in front of the house I grew up in about 2 miles south of Leland on the way to Glen Arbor & Sleeping Bear Dunes! While those trees are definitely fading under the twin ravages of time and the power company/road commission, it’s still a pretty spectacular spot! View John’s photo background bigilicious and see more in his Michigan slideshow. 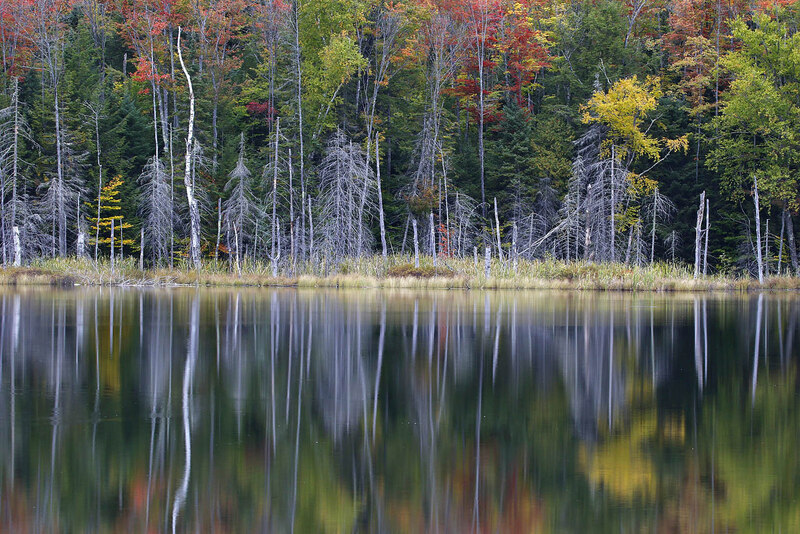 Here’s a map to Red Jack Lake near Munising and here’s more Michigan lakes and more fall wallpaper on Michigan in Pictures. Miraculously, there’s still pockets of fall color out there, so how about one more before November closes in? View Doug’s photo background bigtacular and see more in his amazing slideshow. More fall wallpaper on Michigan in Pictures.